Marty Hacker loved to get out to the track and drag race whenever he got a chance back in the 60’s and 70’s. One thing always caught his eye, the ‘41 Willys. 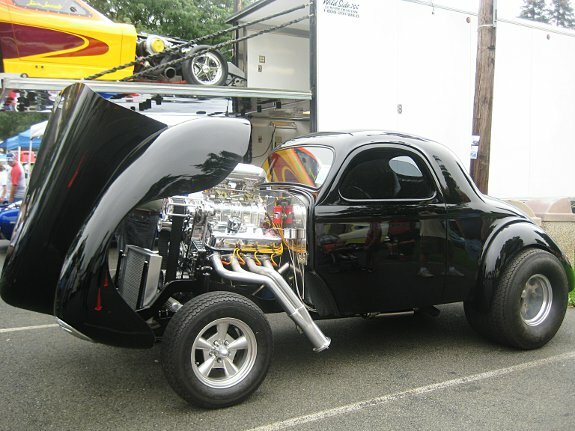 Rat Rodders and drag racers alike have a love for the Willys. 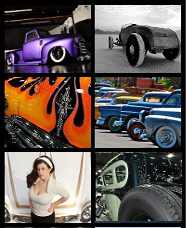 It’s one of the most popular street rod designs and probably the most recognized and famous drag/gasser bodies of all time. The ‘41 Willys was stuck in Marty’s head and he knew some day he’d purchase one. The interesting thing was he just could not seem to find the one he was looking for. So what do you do? You find one you can purchase and get to work on it to build the look you want. Marty’s son Mike Hacker started looking for his dad’s dream. One day while scanning racingjunk.com, he located a Willys in Long Island, NY. 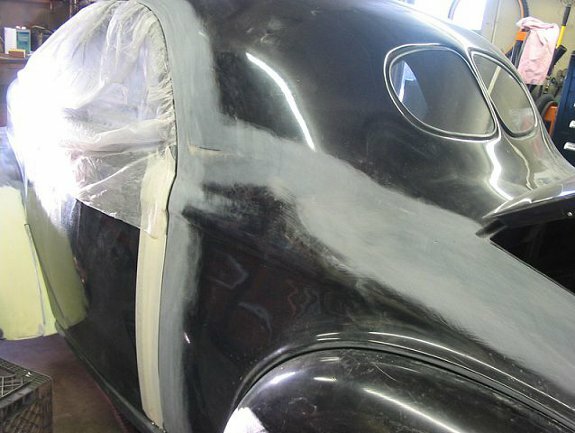 They contacted the owner of the ‘41 Willys to let him know they were interested… but wouldn’t be able to see it until the following weekend. Wednesday, they called the owner and found out the Willys had been sold. Disappointed, they started their search again. 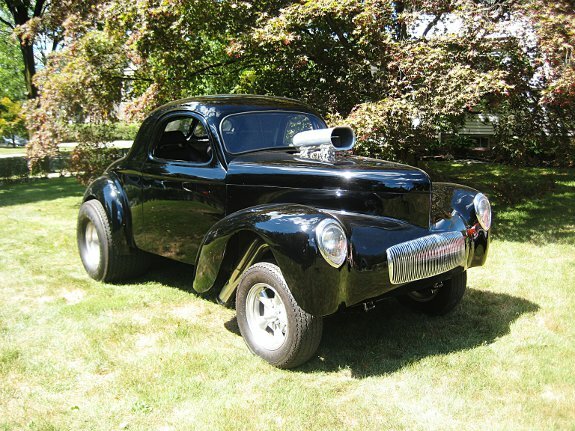 To their surprise, right on Ebay was the same ‘41 Willys for sale in Cape Cod, MA. The guy even used the very same pictures the original owner used! They found out the new owners wife was not very happy with his purchase and was given the option: “Live in it or sell it.” Maybe this was meant to be?!! Mike knew his dad had wanted a Willys for years so he decided to build him one, the way he’d always wanted it…starting with the Willys they’d just picked up from Ebay. The mold used to make the body was terrible. Mike was very frustrated and decided the best way to build the dream was to redo the fiberglass. He ended up cutting almost all the seams apart and several months later everything fit together correctly. The ‘41 Willys sits on an Art Morrison tube chassis with Mike’s adjusted mid section of the frame to accommodate a new straight axle. 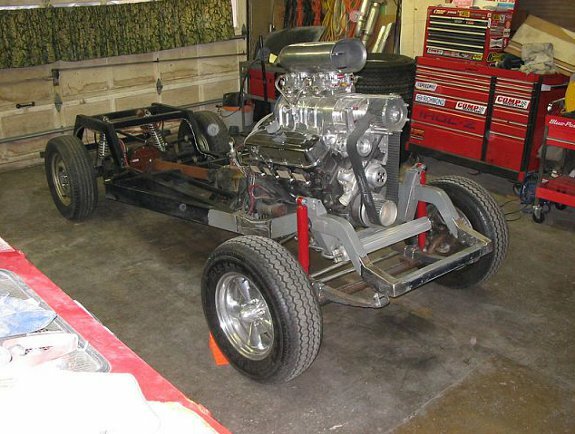 A 454 Chevy bored out to 468 big block engine with a BDS 8-71 blower was added. A TH400 transmission with a 3600 stall converter and a Ford 9 inch rear with Moser axles and Strange center section with 4.30 gears, Detroit Locker and disc brakes finish off the powertrain. “It is about 550 horsepower, my friends helped me every night till 1am for four weeks to get it together” states Mike. Mike and Marty are very happy they have completed most of the dream. Getting the interior completed will most likely lead to other projects to work on in the future. As we know, there is always some type of improvement we’d like to make to our cars. Story by Dave Semel and pictures by Mike Hacker.